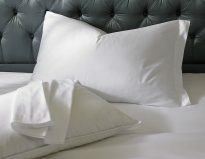 Perfectly fitted crew linens in a wide range of colours and styles. We specialise in custom made crew linens. Our workshop produces bespoke made crew bedding for a vast number of yachts and yacht linen providers. Each set is individually made from specific measurements and templates. 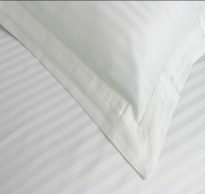 We use a variety of high quality Egyptian Cotton fabrics which ensure that the products lasts a long time. We offer a wide variety of styles and colours to co ordinate with cabin décor or to distinguish between cabins. Items can be labelled or embroidered with the cabin and bunk name to make laundering easier.